I am thinking of getting my pilot license, I would love to fly a helicopter or a small plane, but I don't know where to start. What do I need to get a pilot's license? 1) How much does it cost. Cost will vary based on numerous factors, such as your age; being older seems to take more hours than younger - different reflexes, different reactions compared to experience from other motor vehicles. At the same time, being older one can probably be able to fly more regularly, which really helps. Or perhaps not if being older one is stuck with house and car payments and saving for college, etc. For a full-up private license, a minimum of 20 hours of dual and 20 hours of solo time is needed. I started at 33, could afford twice a week, missing a lesson seemed like two steps back at times. Ended up with about 70 hours total by the checkride, and my wife ended up with similar when she got her license a couple of years later. I believe Plane will be less cost - helicopter lessons are more. Must be a maintenance thing - they do seem to just want to vibrate themselves apart! The times I have looked into it, helicopters seemed to be twice as much. 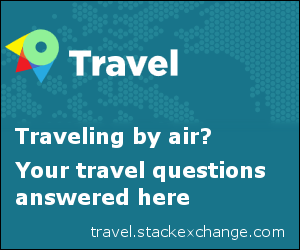 Someone else already answered - find an airport near you and ask around. If it becomes too impractical for you to get there on a regular basis, you may not be likely to keep doing it. Depending on the school, you may or may not be required to take "ground school" with them, where a lot of basics are covered, and prep for the knowledge exam and the checkride is done. Being a college grad, I took the self study path instead, and anything I couldn't figure out, or didn't understand, I brought up during flying lessons. Jeppesen.com has good study materials, as well as courses you can find at Sportys, King Schools, etc. Once you apply for the student license/medical, you will get a lot of stuff in the mail. Do that early to make sure you can pass the medical (it's very basic). Ask at the airport for recommendations on nearby Aviation Medical Examiners (AME). Airplanes, you may start in a small 2-seater (I started in a Cessna 150) or a somewhat larger 4-seater (Cessna 172 is very popular), or a similar low wing plane from Piper (like a Cherokee). Helicopter, the Robinson R-22 is a popular 2-seater for starting. R-44 for 4-seats. Which license you go for depends on your "mission". Want to take some friends up and go sightseeing without spending a fortune? Plane I suspect is more affordable. You can also look at "trade a plane" magazine to see prices on what's for sale in the used market. There are also plenty of kit planes and helicopters and gyrocopters you can build if so inclined. There are also plenty of very light sport aircraft (LSA) planes, basic 1 and 2 seaters with limited speed and fuel capacity, not intended for more than just local flying, but longer trips would be possible with some tenacity. Not the answer you're looking for? Browse other questions tagged helicopter student-pilot airplane licence or ask your own question. Is there a benefit to a pilot/aviator having an FCC GROL license? I have a FAA Private VFR SE license based on my foreign license, and added IFR in my home country; how to upgrade the FAA license? How should I handle a change of address for a Student Pilot License in the USA? What happens if a private pilot's license isn't used for some time? Can a nonresident American citizen get a Canadian helicopter license? What are the differences between an EASA part-66 license and FAA A&P Aircraft Mechanic License? How does single-sided deafness affect the different pilot licenses? Eye requirements for private pilots license in the US? Is there a time limit after the ATPL theory exam to get the license? What are the requirements to get a private pilot's license in Indonesia?